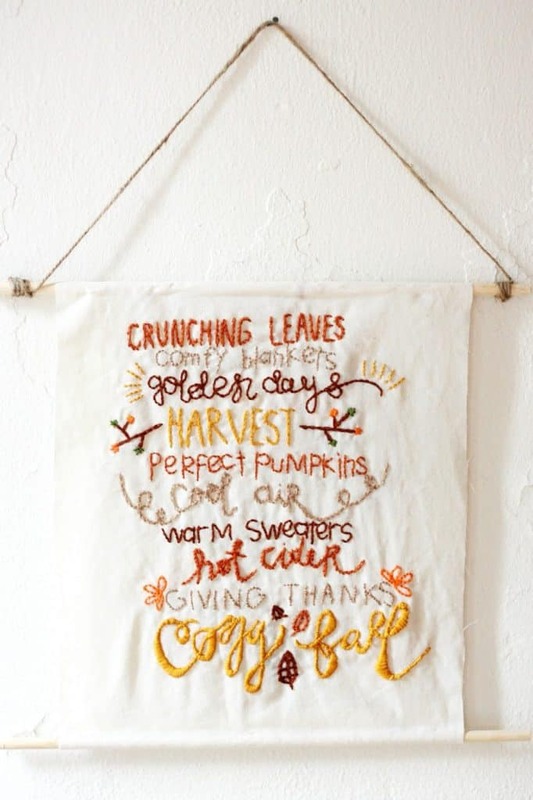 Fall is here and with it comes beautiful colors, yummy smells, and of course crafting! 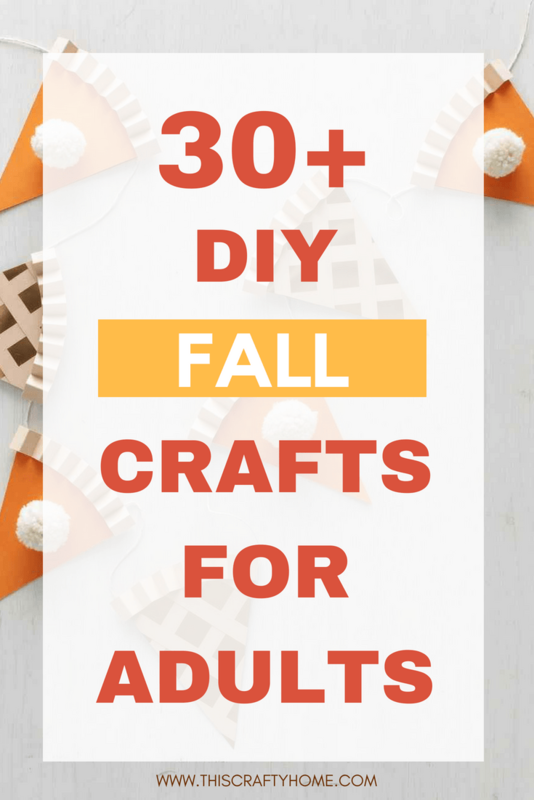 I don’t know what it is about fall that makes a person want to get crafty, but it seems to bring out the creative spirit in all of us. 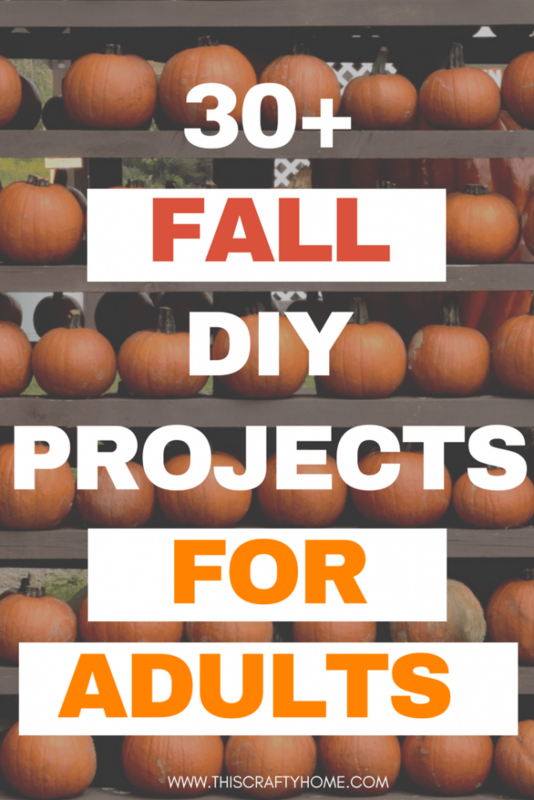 This list of fall DIY’s for adults will have you eager to get creating. These are all DIY’s that I would LOVE to do myself and they have varying difficulty levels, so there is really something for everyone here! 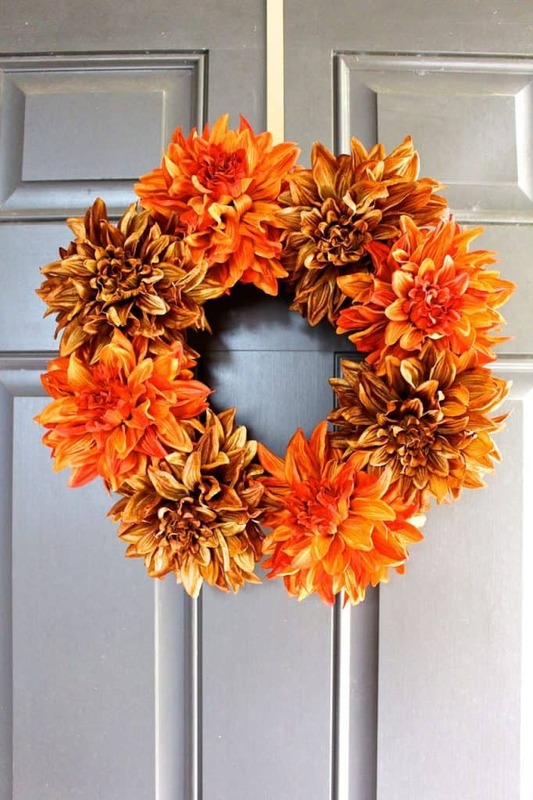 I love how simple but beautiful this wreath is! Plus, what a cheap DIY! Visit a good thrift shop and you’ll be set. This sign is just so dreamy! 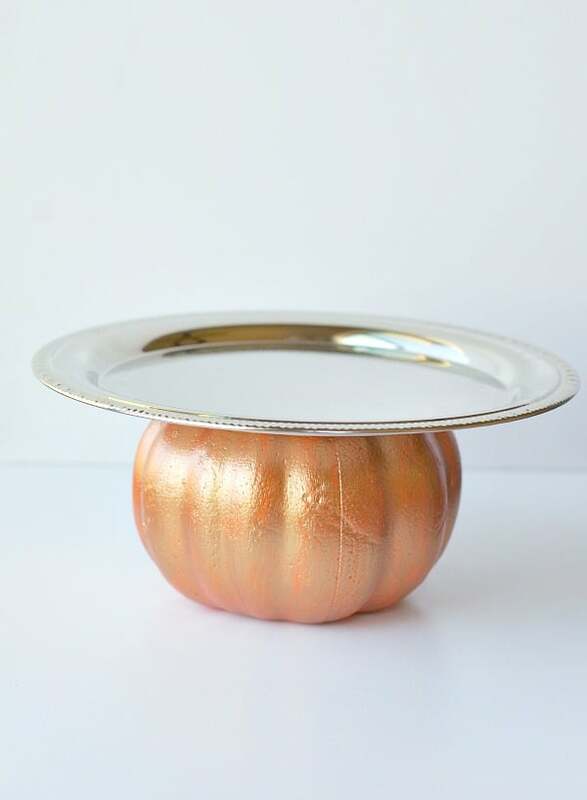 This is definitely a piece that will take your fall decor to the next level. 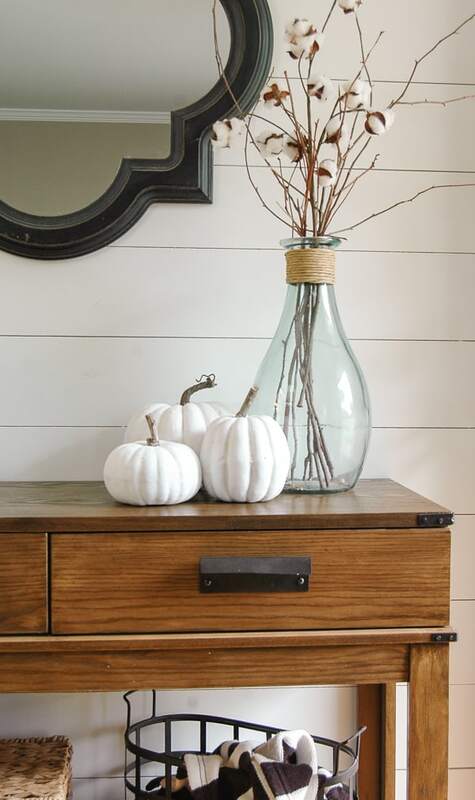 This super cheap DIY is a fun way to make your home’s fall vibe shine. These would be so pretty in varied sizes bunched together! If you don’t know that dollar tree pumpkins are a thing, run to your nearest dollar store and get at least ten. 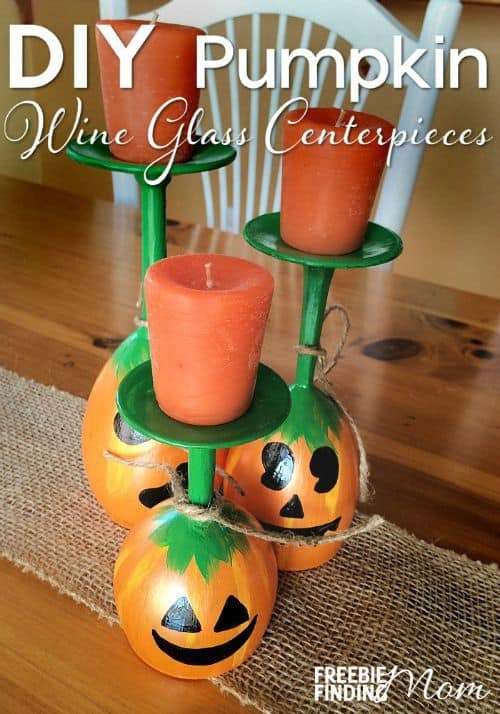 This fun DIY has three different ideas for you from classy to spooky. 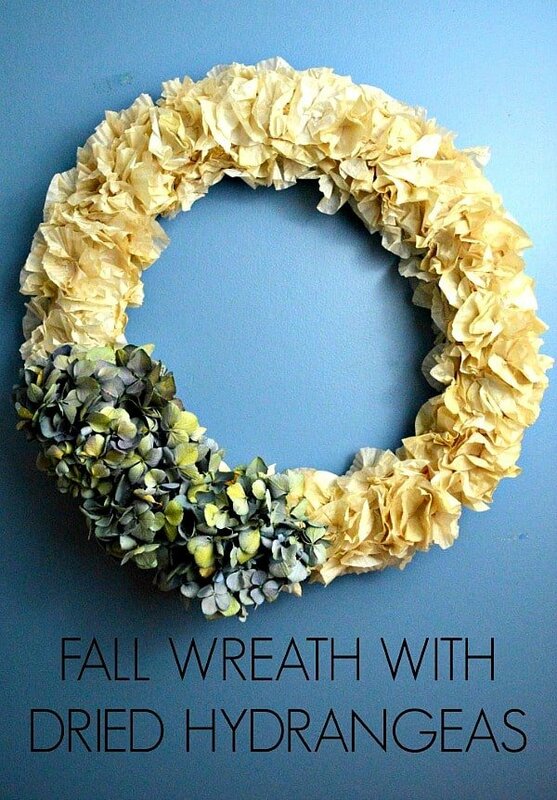 Fall wreaths are basically my favorite craft around this time, and you absolutely cannot go wrong with a wreath featuring dried hydrangeas. 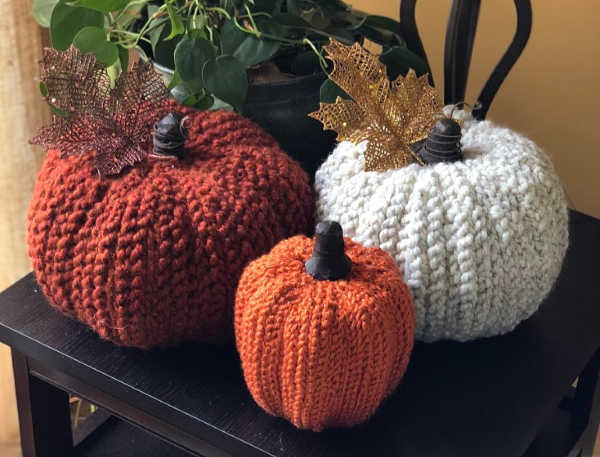 If anything goes well with fall it is crocheting! So naturally, a crochet pumpkin is literally perfect. This is a super easy crochet project as well! 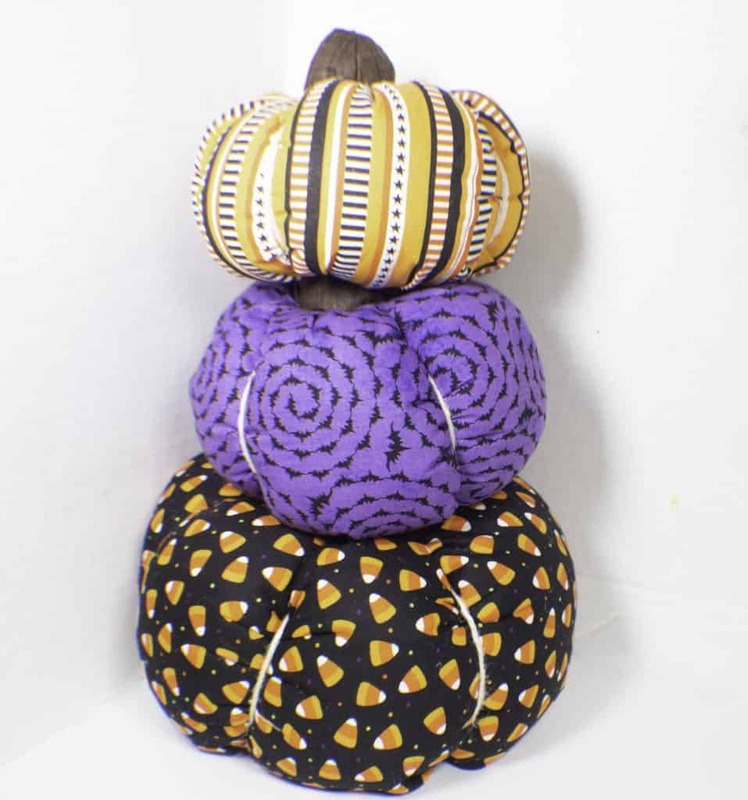 I love all the possibilities that come with fabric pumpkins. Just think of all the different patterns of fabric out there, now run! I love how different melted crayon looks texture wise for DIY projects. It looks awesome on pumpkins as well! 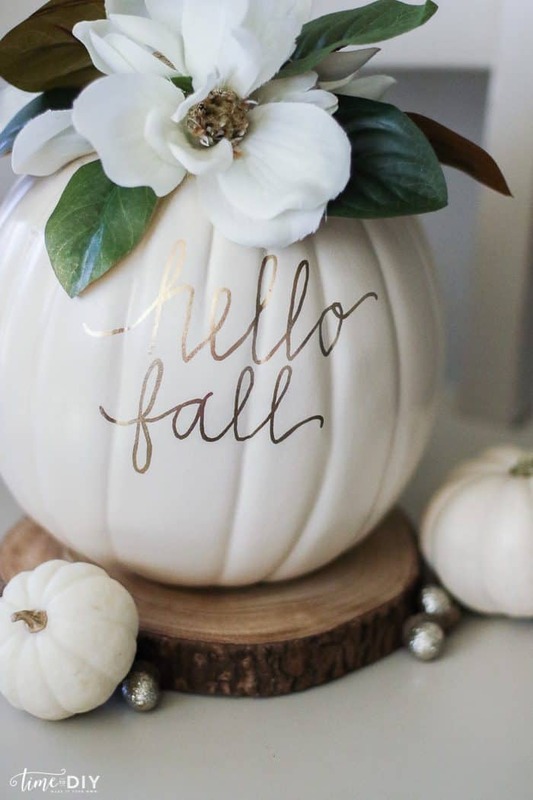 This fun DIY is perfect for you to get really creative and make a perfect fall centerpiece. 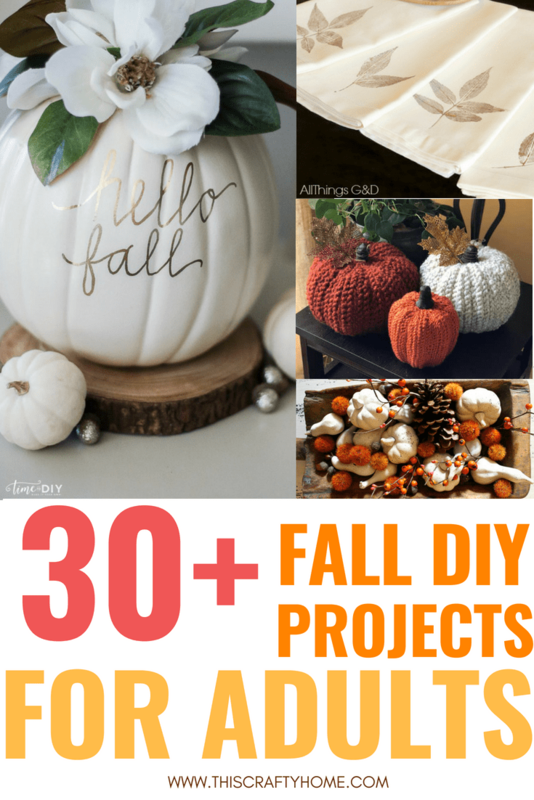 Even if pumpkins aren’t your thing there are so many fun things you could do with fall colors! 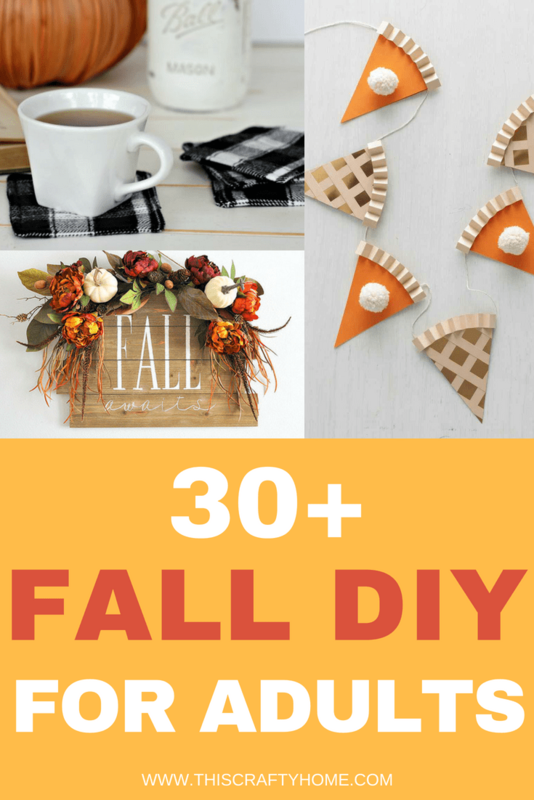 I’m straight up swooning over this fall DIY! 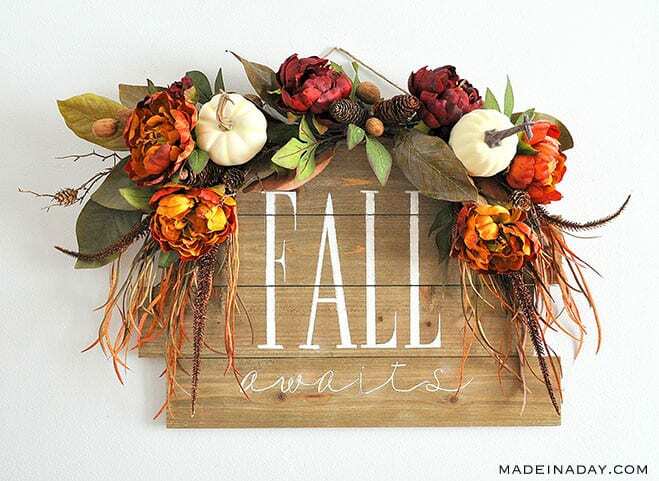 This is a great way to make your fall decor take a different classy turn. 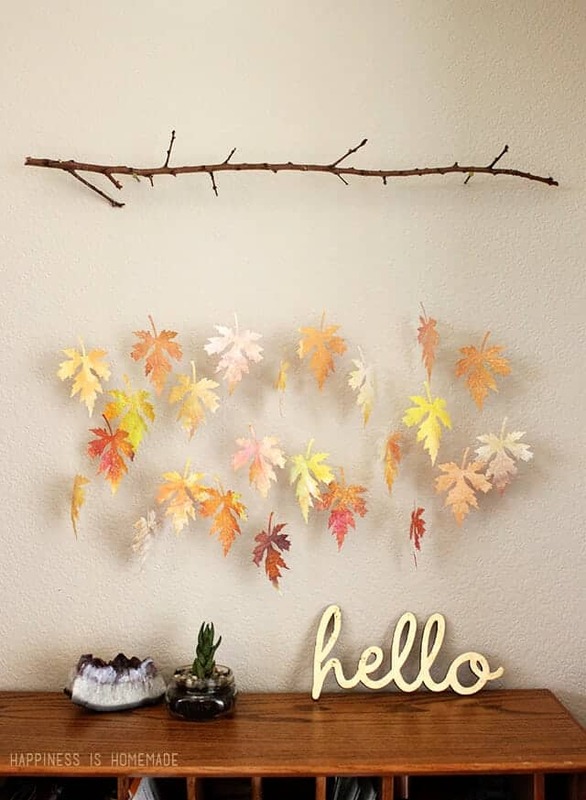 I love a good fall garland, and adding book pages to leaves just takes this to the next level! 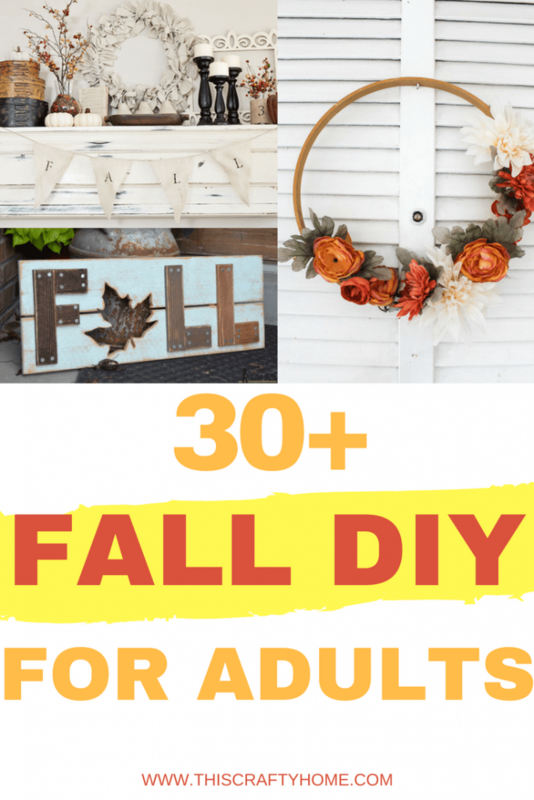 This is such a different and fun fall DIY! 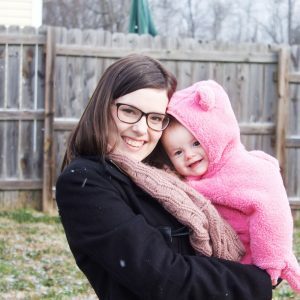 This DIY gives me straight up heart eyes, and it is so simple! No need for a fancy cutting machine. 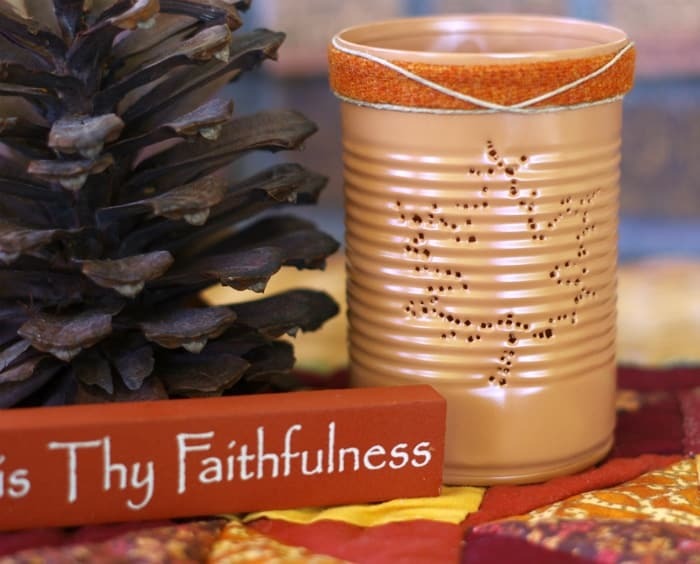 Buffalo plaid and fall go together so well, so why not throw it on a mason jar? This DIY is so pretty and one of a kind. 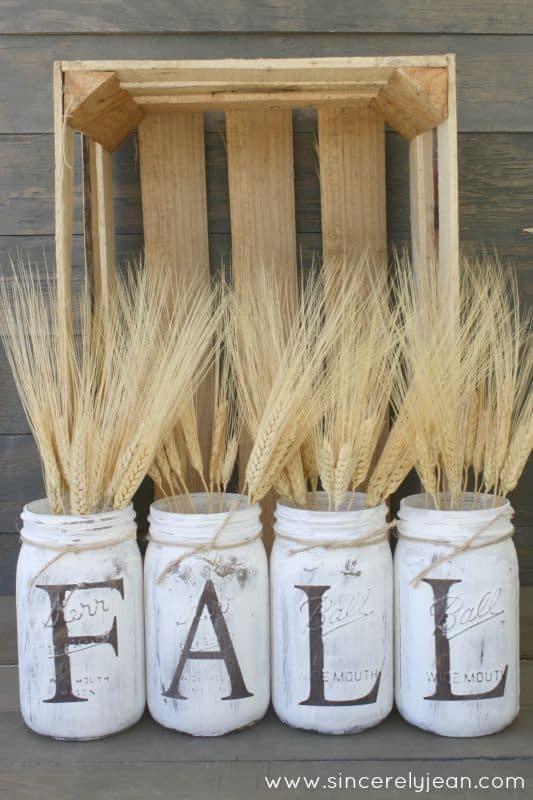 Another fall mason jar DIY that just hits the mark perfectly! 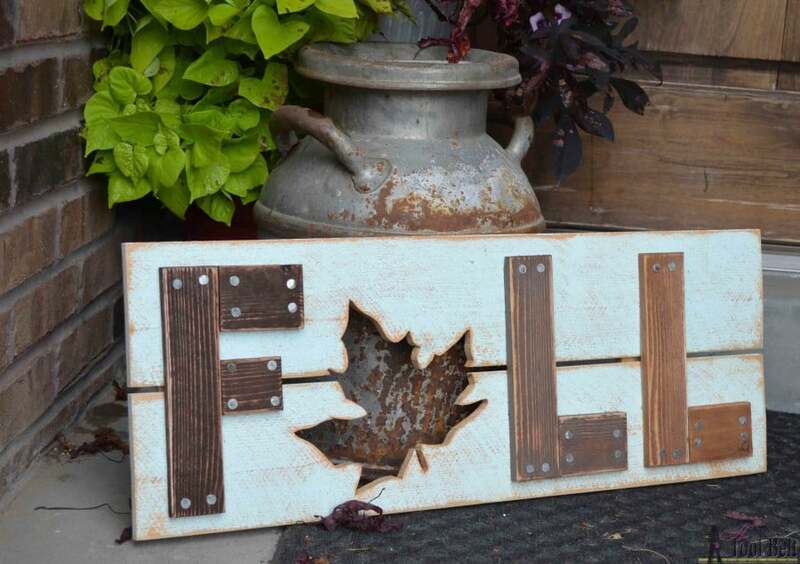 This beautiful neutral fall DIY is super easy too. I have wanted a floral version of this in my bedroom for a while, but when I saw this DIY it made my heart happy! 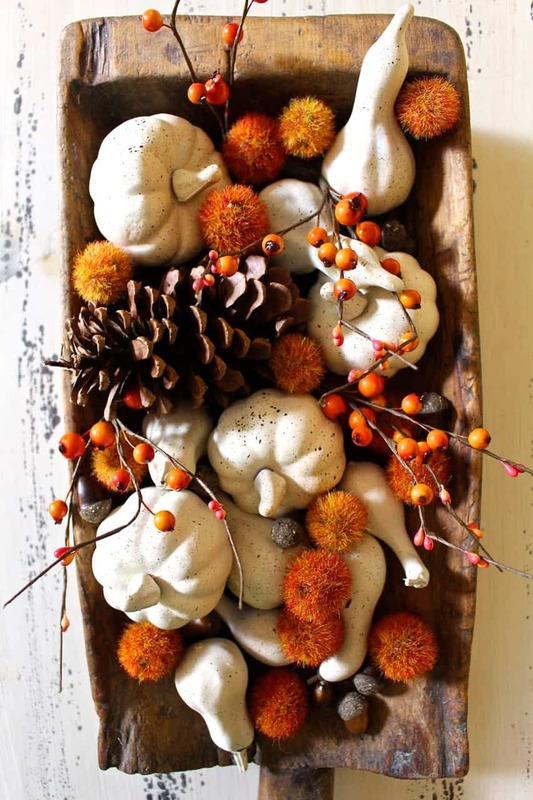 It’s a nice spin on your usual fall decor DIY. 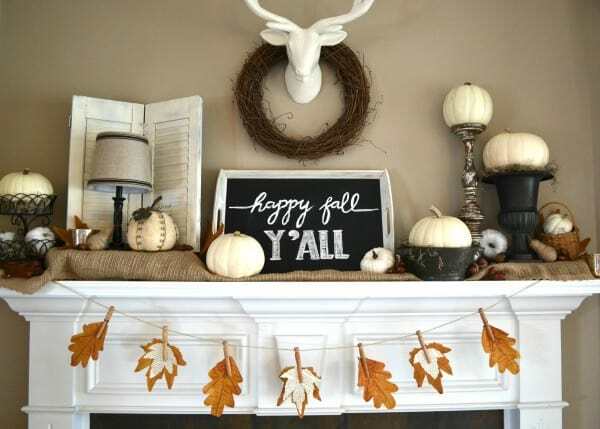 I have these exact pumpkins from Hobby Lobby clearance and you can absolutely bet that I am going to be doing this to them this year. The contrast in this set up is so pretty! 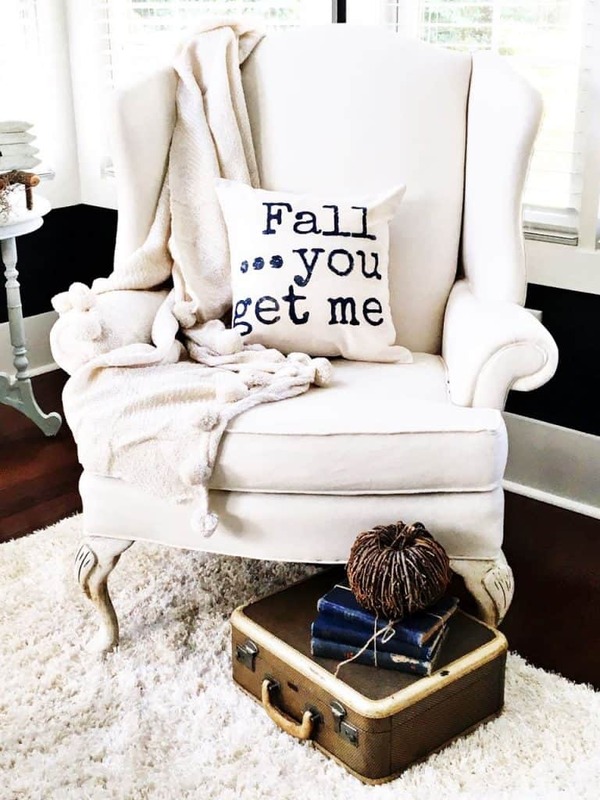 Make your space cozy with this super cute fall pillow DIY. I love how they went with a nontraditional color. This DIY is slightly more challenging than the others, but the outcome is legit. 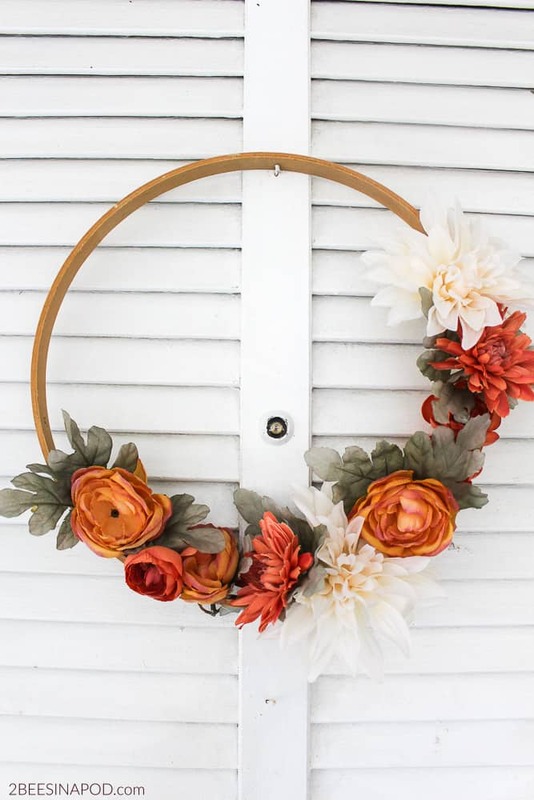 Need a cute wreath right now? This one is perfect. It’s easy and adorable! These pumpkins look gorgeous! 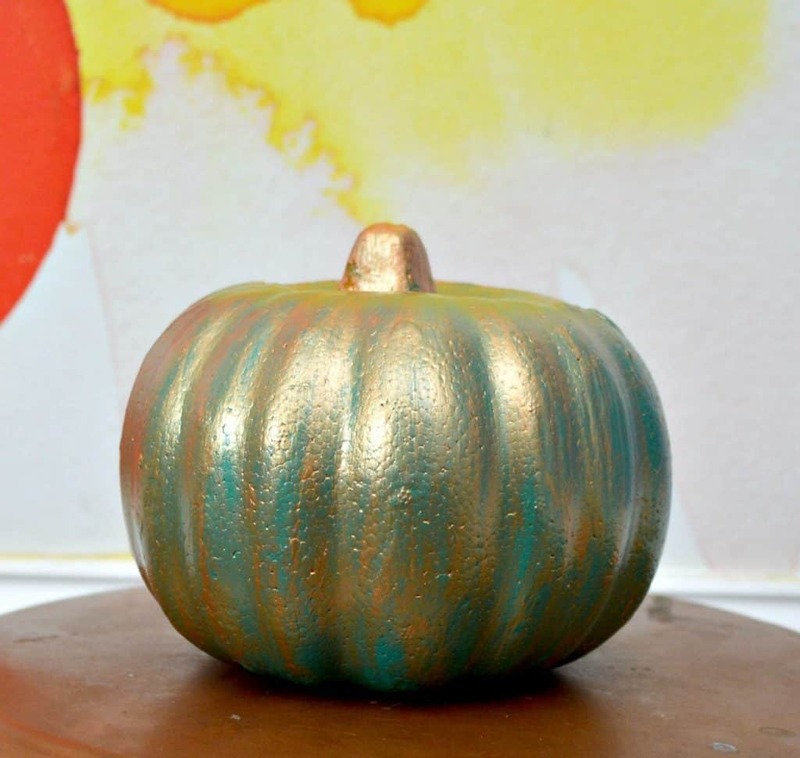 Make your cheap pumpkins look better for some decor on a budget. This DIY just makes me want to cozy up on the couch and read a good book. 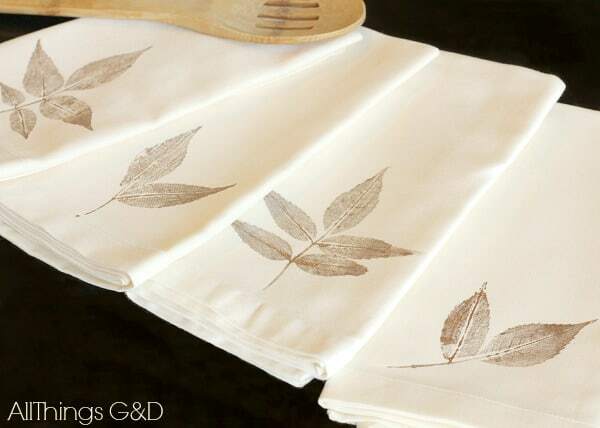 These could make a great gift as well! Succulents are my favorite thing right now because sometimes unlike real flowers I can keep them alive. 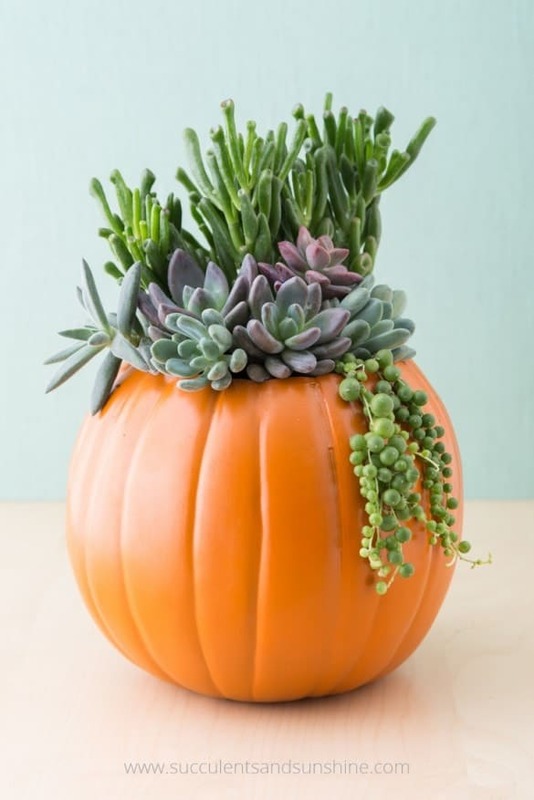 This pumpkin DIY with them is just perfect! 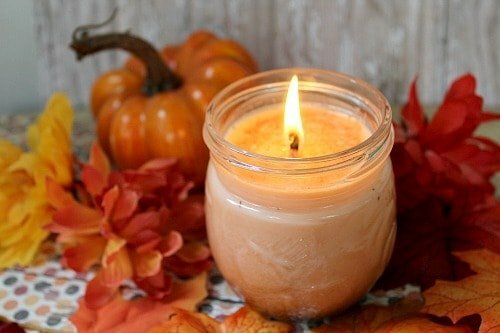 Pumpkin spice is synonymous with fall now, so what better craft to do than make your own pumpkin spice candle?! 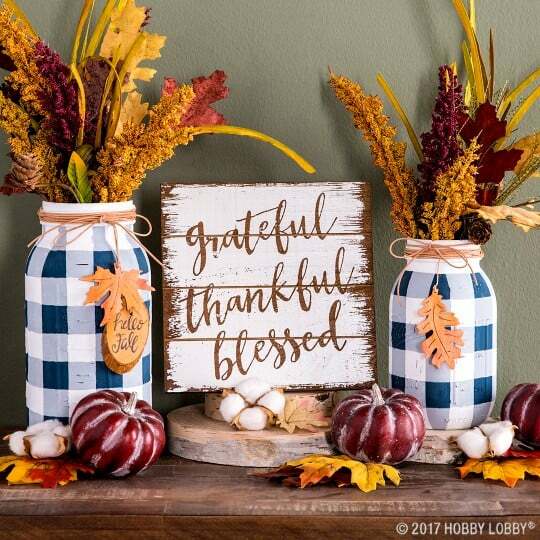 Fill your whole house with the smell of fall goodness. This diy is a little time consuming but in the end, it is so beautiful and it would be so easy to throw your own spin on things. 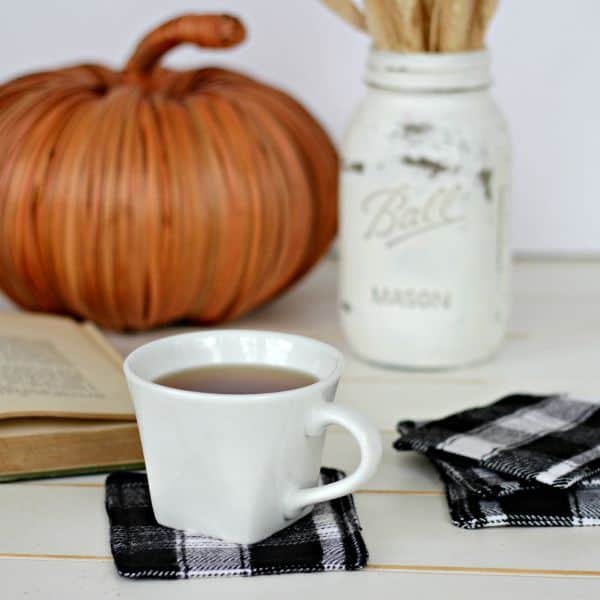 Who doesn’t like cuddling up with a good cup of coffee in the fall? 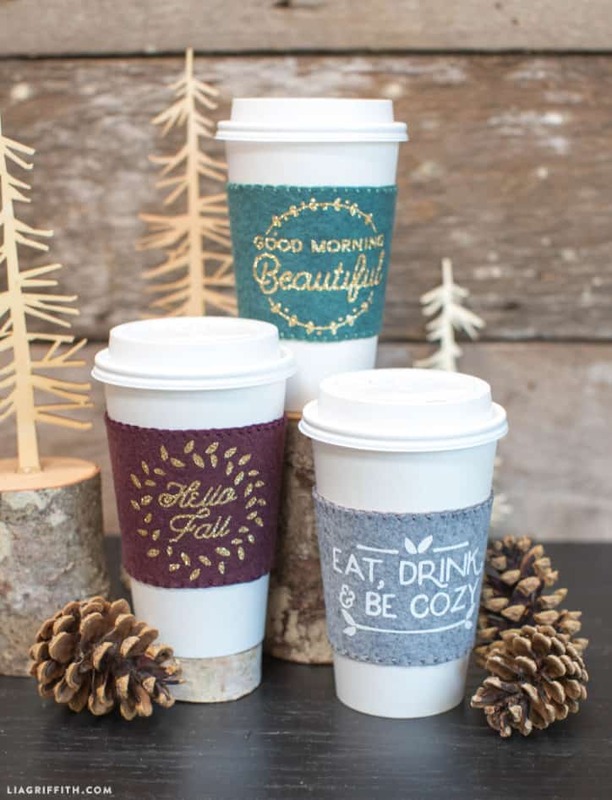 Dress up your travel cups with these fun designs! 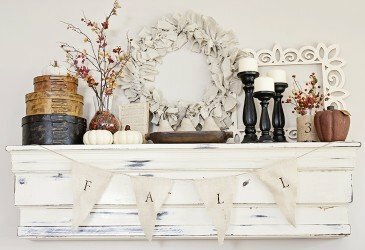 This super simple DIY is perfect for someone looking for a quick project that really brings together a mantle! 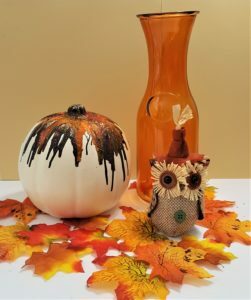 This is another dollar store pumpkin tutorial that is so easy and so cheap! In the end, you have a super cute serving tray for all your holiday parties. Who doesn’t love pinecones in the fall? 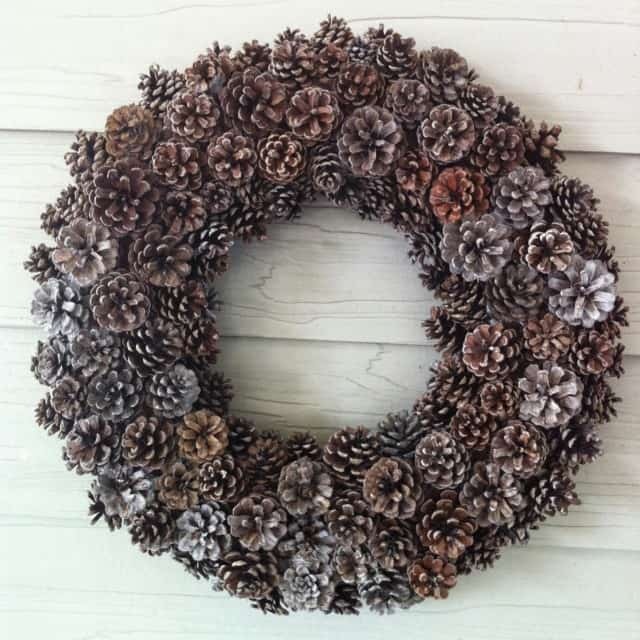 This DIY comes with all the tips you need to make the perfect pinecone wreath without paying an arm and a leg. This DIY is too cute to handle. Who doesn’t love pie in the fall? 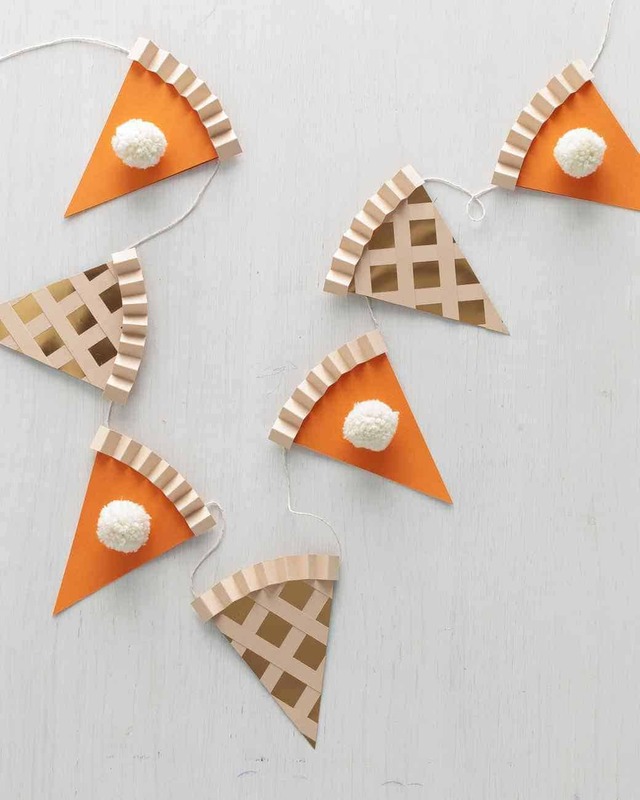 Why not make a pie garland?! I love it. 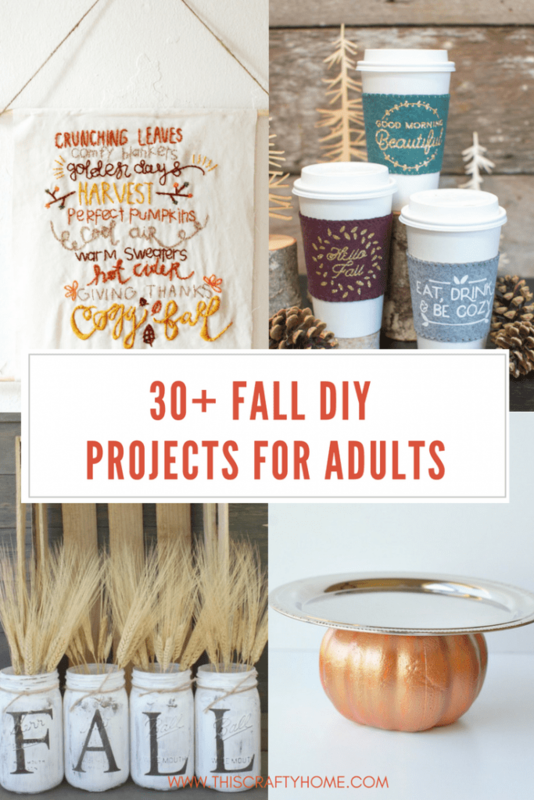 I hope this list has got you ready to create something this fall! It’s the perfect time of year to cozy up indoors and make something beautiful. Let me know if you try any of these awesome crafts and make sure to leave your favorite fall adult diy from the list in the comments below!